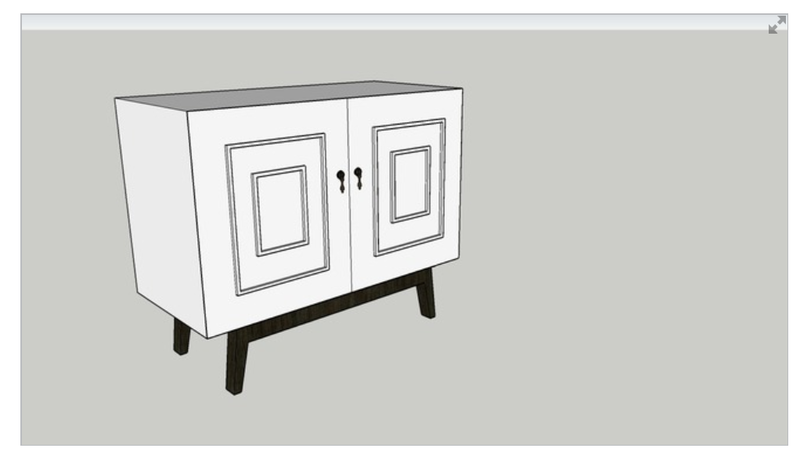 This is a first for me, I don’t usually upload my SketchUp models to the 3D Warehouse because I’m ferociously protective of them. 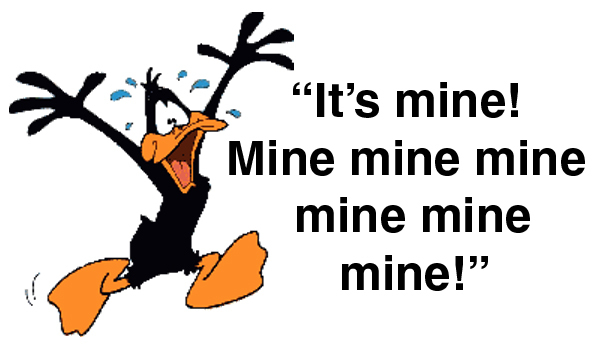 Yes, I do realise how ridiculous that sounds but hey, I am what I am! If you’re familiar with the process of 3D modelling (wine, you need lots of wine), then you’ll understand why. 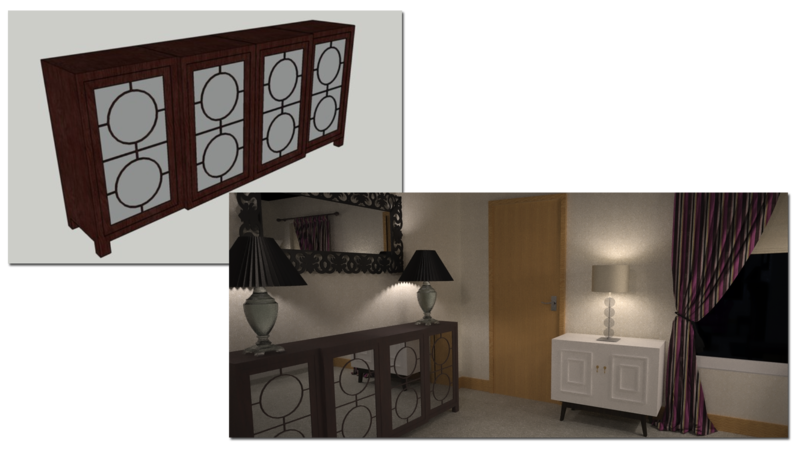 However, the SketchUp 3D Warehouse was an absolute lifesaver for me when I first embarked on my 3D Visualisation path of torment discovery. 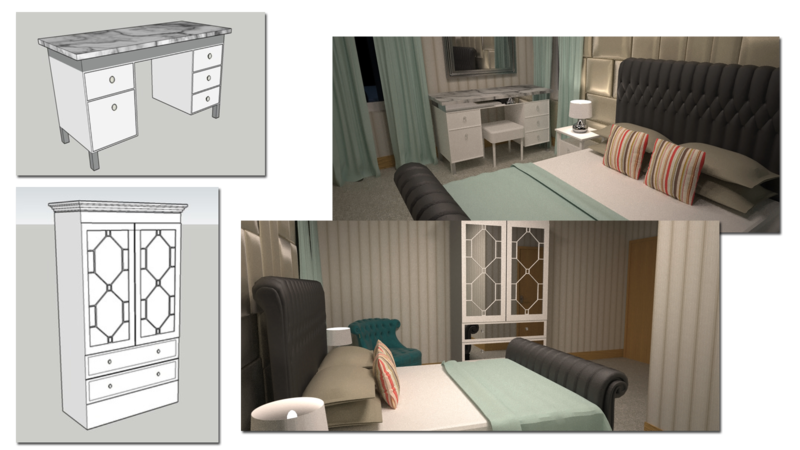 The ready-made models unquestionably eased me much more gently into the world of 3D modelling (and it continues to be an essential resource for my 3D modelling needs), until I gained enough knowledge, confidence and skill to start creating my own models. 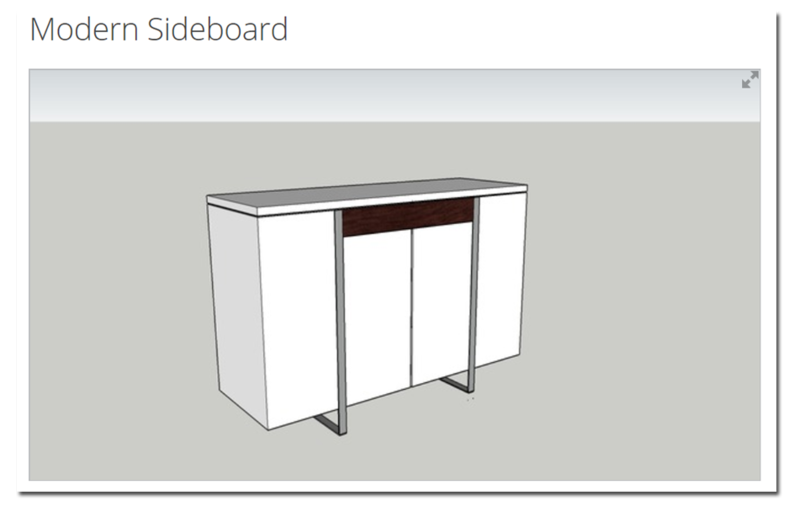 So, I would like to officially declare my undying gratitude and appreciation to all of the lovely SketchUp-ers who have so generously uploaded their many accomplished and impressive 3D models to the 3D Warehouse. You rock!! 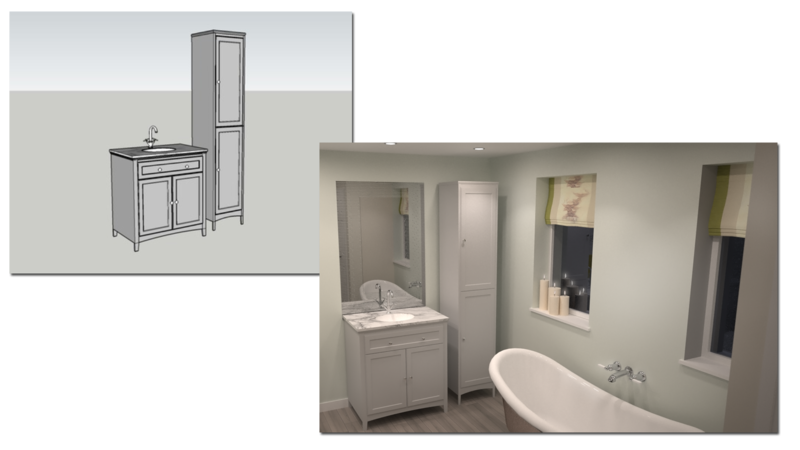 A huge thank you to the peeps at SketchUp for creating the 3D Warehouse; SketchUp, in my mind, continues to be the only CAD application that utilises such an intuitive, user-friendly approach to 3D modelling. 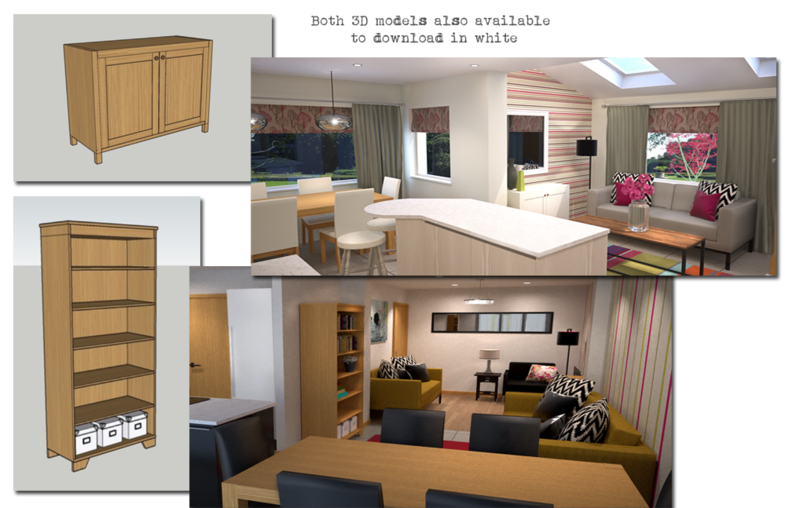 A quick peek at my 3D Visualisation portfolio will tell you all you need to know about the fantastic results that can be achieved using SketchUp (and Maxwell Render). It’s time to give back. 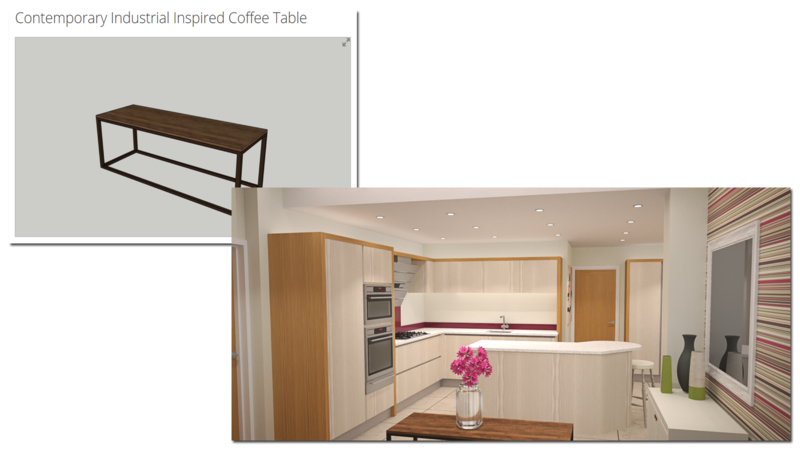 Today I’ve uploaded various SketchUp models/components that I have constructed within the last year or so that have been used in the many 3D visuals I have created (some were created for specific commissions where an elevation drawing was only required). Check out these little beauties! 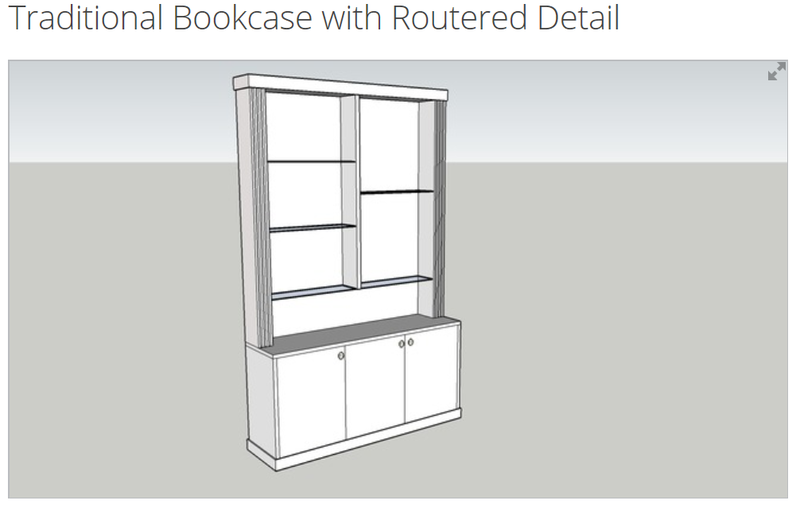 I have provided an image and individual links to the 3D Warehouse for each 3D model. 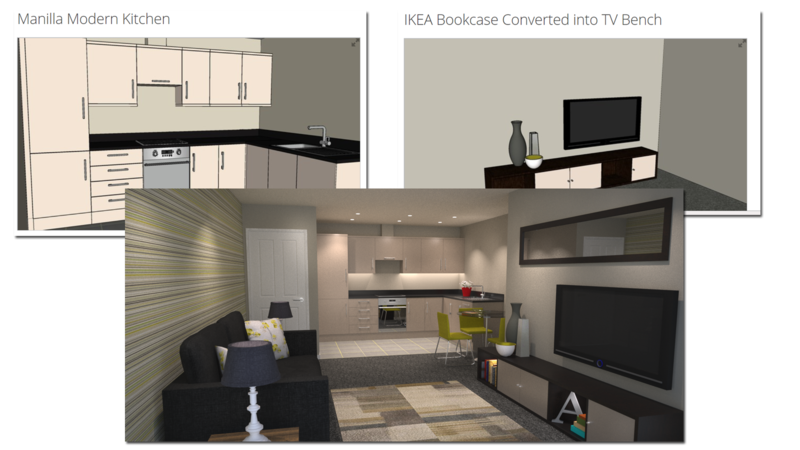 I’ve also included 3D visuals, where appropriate. I hope they come in handy for any 3D modelling projects you may be undertaking. 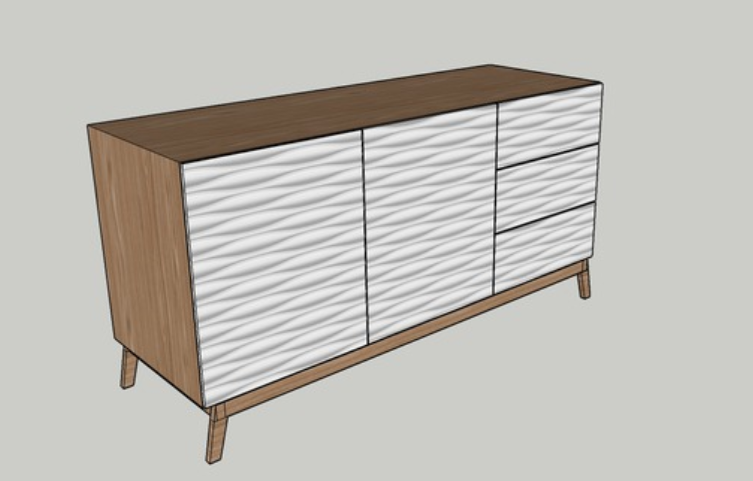 Volume II of FREE SketchUp models HERE!!! They all look great when rendered, makes such a difference to the component. 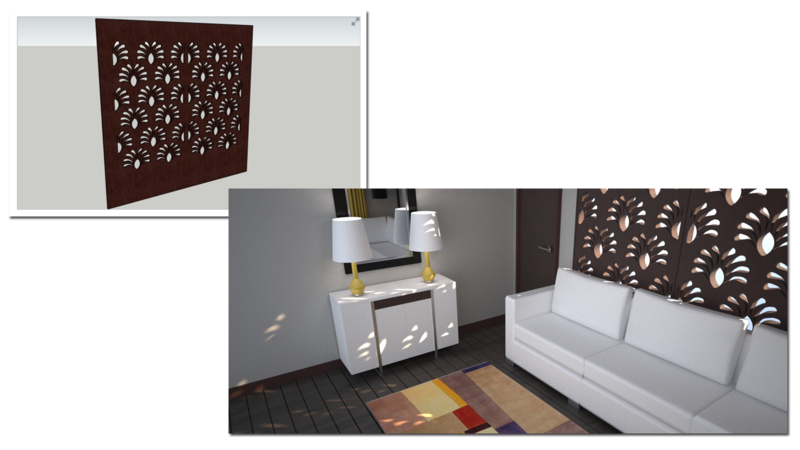 Amazing software (Maxwell & SketchUp). 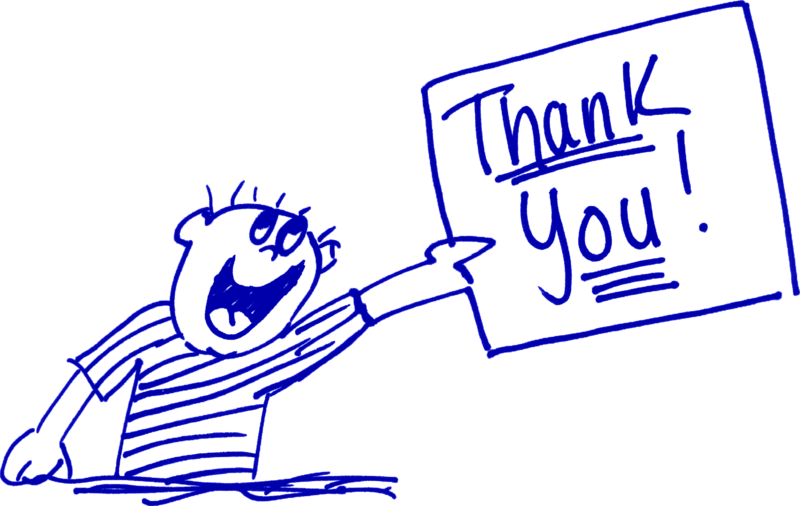 Thanks, Anita, for giving back to the 3D Warehouse community. An enlightened discussion! Hi Lisa, you’re welcome! I’m going to upload more at some stage! 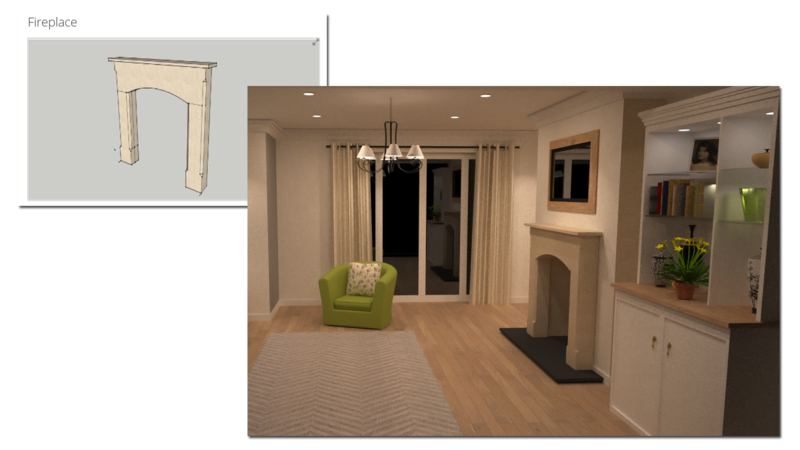 Have you used SketchUp before? Learn how to Render a Floor Plan & Elevation! Style an Interior Like a Glossy Cover Shoot! 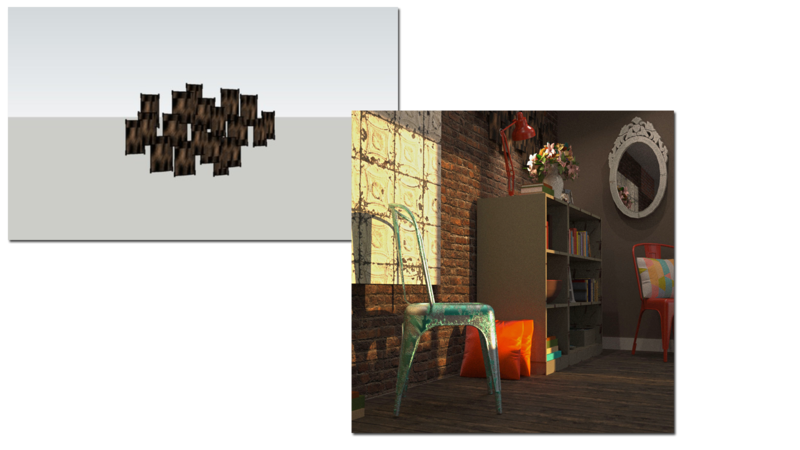 Get the lowdown on my 3D Visualisation Secrets! Stay Connected. Follow My Blog! Love what you see? Follow my blog.